Heat butter in a pan saute the chopped garlic for thirty seconds.add chopped onions and saute for one minute.you can add a green Chillie(optional)and a bay leaf. Add chopped and washed palak leaves and saute for two minutes.Add some water and boil for two minutes. 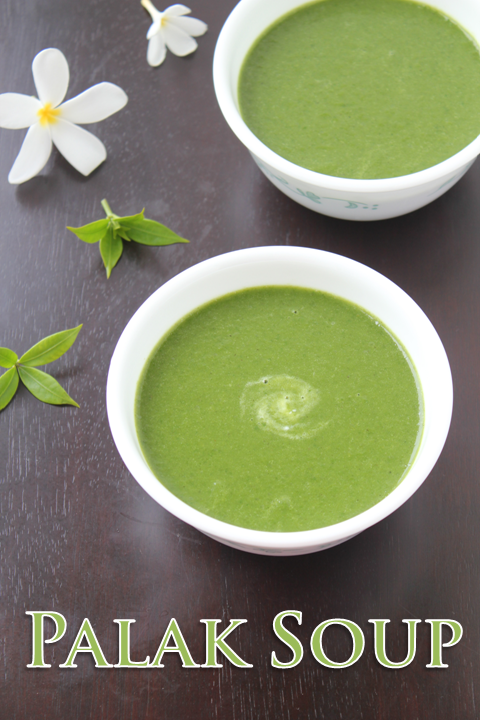 Cool and blend it into a puree.if you added the bay leaf, remove it before blending. Add two cups of water and dilute it and add salt and pepper and heat it. Add one cup of milk and heat further.Switch off before it boils. 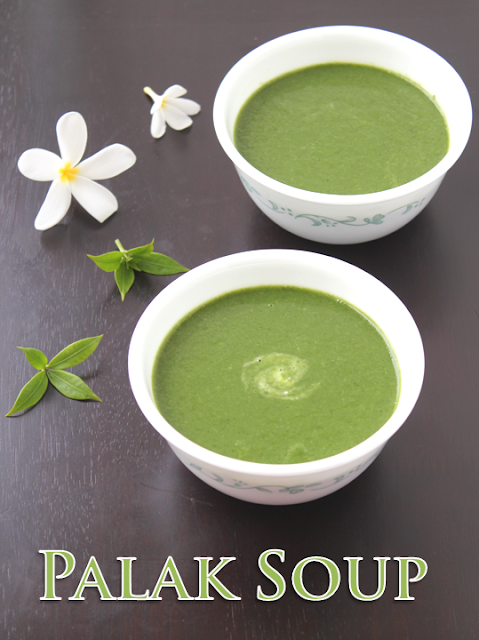 Garnish with some fresh creme if you wish.Enjoy the delicious and healthy soup!!! i love this...so healthy...was supposed to ask this ...thanks a lot...it looks superb n yummy.